Ovarian cancer carries a specific set of risk factors, from environmental causes to hereditary traits, and the key to decreasing mortality rates is early detection. For example, half of all ovarian cancers occur in women older than 63 years of age, while women who have used oral contraceptives have a lower risk of developing epithelial ovarian cancer. Understanding these risk factors is essential for doctors and patients when approaching prevention and treatment. 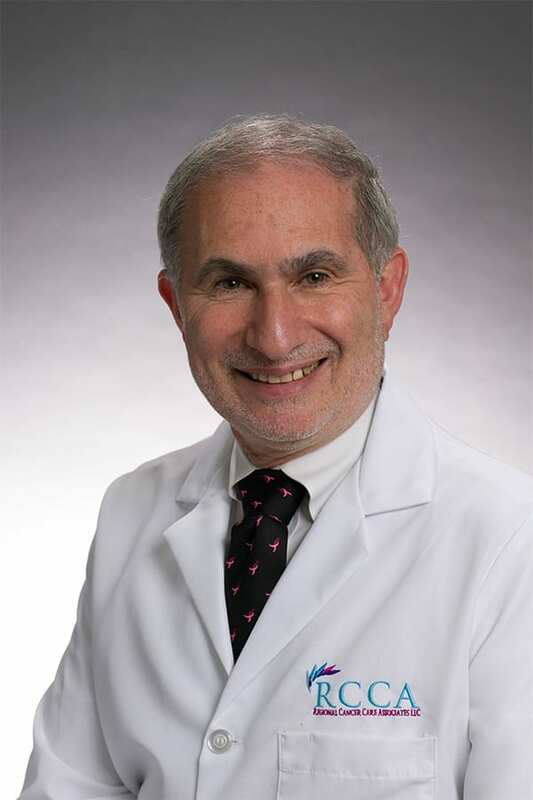 Dr. Kenneth D. Nahum, an oncology and hematology specialist at Regional Cancer Care Associates (RCCA) in Howell, New Jersey, says that ovarian cancer is “still a leading cause of death in gynecological malignancies,” and that there are approximately 22,000 new cases a year. Dr Nahum notes that although there’s no definitive screening technique for ovarian cancer, consulting with your gynecologist and being evaluated – especially if you’re having early symptoms – is crucial to early detection. According to Dr. Nahum, “The most common symptoms to have are abdominal pain, abdominal bloating, increase in abdominal size, difficulty eating and fatigue.” Additionally, Dr. Nahum indicates that abnormal vaginal bleeding may also be an early symptom of ovarian cancer. Since early cancers of the ovaries may be undetectable or indistinguishable from other more common conditions, women should pay close attention to possible warning signs and schedule regular health exams. The best method for early detection is a physical exam performed by a gynecologist. The doctor will look for signs, such as an enlarged ovary or fluid in the abdomen, which may lead to further testing. Dr. Nahum explains that another prominent technique is ultrasonography, or an ultrasound. These studies are capable of locating an ovarian tumor and detecting whether or not it’s a solid mass or a fluid-filled cyst. In addition, if the patient has a genetic predisposition to ovarian cancer, testing for BRCA1 and BRCA2 genes is crucial to early detection. A prophylactic oophorectomy is the removal of the ovaries to prevent or treat ovarian cancer. However, if the woman is of child-bearing age and plans on having children, it’s best to be monitored closely by a gynecologist and consider having the surgery later on. Women with the BRCA1 and BRCA2 genes should also be closely monitored by their gynecologist and consider both prophylactic oophorectomy and mastectomy surgeries, according to Dr. Nahum. Since the carrier for the mutation in the general population is about 1 in 300 or even fewer, Dr. Nahum says that without a family history for these specific genes, there’s no data suggesting that having genetic testing done will benefit women’s chances of early detection. Studies have shown that oral contraceptives may help lower the risk of developing ovarian cancer. Women who used birth control pills for five years decreased their risk for ovarian cancer by 40% and reduced lifetime ovulations by 15%. Therefore, ovulation inhibition may contribute to lower rates of ovarian cancer among women who use oral contraceptives. However, as Dr. Nahum points out, although the pill may decrease the incidence of this type of cancer in women, oral contraceptives are not recommended for prophylactic use at this time. If you’re experiencing symptoms of ovarian cancer, stop by one of the 32 RCCA locations, or contact us to schedule an appointment.